The ATP Tour's annual presentation in Melbourne has exposed a divided men's locker room surrounding the issue of equal player payments with the women's tour. 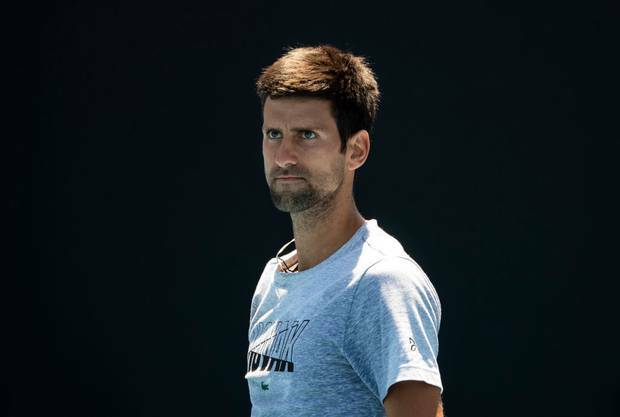 Novak Djokovic, the ATP Tour players council president, caused another stir on Sunday when he reportedly voted against extending the tenure of ATP chief executive Chris Kermode, a move that could set off dramatic changes in the tour's direction. Speaking after his opening round win over Australian James Duckworth, Rafael Nadal — who is not on the board of the players council — said he wasn't consulted about his thoughts on the situation. "I don't have to go. He's (Djokovic) in the council or all the players are on the council, they have to come to me," Nadal said. "That's why they are in the council and I am not in the council anymore. When I was in the council, that was me — I have to go to the players and ask their opinions. It's not my work anymore. "I suppose with a crucial decision like this someone from the council should come and ask me my position." Nadal believes Kermode is the right man for the job..
"By the way, if they want to read my opinion, I believe in the projects at long term, not short term, as everybody knows in my life," he said. "And because of that, I believe that is not good to have changes all the time, because it is difficult to develop a good project of work if we have changes every three, four years. Is difficult." "I think changing Chris Kermode would be one of the biggest mistakes," he said. "Tennis is in such a good place. "Everything has gone through so many good and positive changes. I wouldn't do that, absolutely." Player council member Vasek Pospisil also campaigned for Kermode's axing in the lead-up to the weekend's meeting, citing the issue of player underpayment. "Grand slams which report hundreds of millions of dollars in profit … yet we get less in prize money than 10 per cent of their revenue," he wrote in an email sent to players ranked between 50-100. The men's push for a greater share of the revenue generated across the Tour and grand slams is now heading in a disturbing direction, according to New York Times tennis expert Ben Rothenberg. He reported on the No Challenges Remaining Podcast that many male players are focusing only on the issue of men's prize money — ignoring the issue of WTA Tour prize money. Rothenberg said retiring champion Andy Murray and Roger Federer have been almost lone voices at the top of the men's game advocating for the advancement and inclusion of the WTA Tour. The recent decision to reappoint controversial Ukrainian veteran Sergiy Stakhovsky to the ATP Tour's player council where he replaced Stefano Travaglia (who stepped down at the start of the year) set a clear marker in the eyes of many that the men's game is looking out only for itself. Rothenberg said with the Tour's new direction it is vital for long-time WTA advocate Murray to remain a voice on the ATP player council — even if he is forced into retirement as early as this week because of his ongoing debilitating injuries. "What does it say about Andy Murray that he's seen as so unique? He's their only one," Rothenberg said of ATP players supporting the WTA Tour. "The women are aware that the men had an opening on their player council recently and they appointed Sergiy Stakhovsky, who has been the loudest anti-female, anti-everything voice. "I talked to one of them about it and they sort of didn't know. I went through some of his greatest hits about his locker room stuff … and this person did look genuinely shocked because they are absurd things to be saying. It's just that they don't care, they don't want to know. They're not curious about it." The divide between the men's and women's sides of the game was reinforced on Monday when Maria Sharapova also hit out at what she claims is a failure of support for the women's game from the men's game. "I mean, relatively speaking, I think they have been really tough, especially when it came to equality, as a general point," she said in her post-match press conference after her 6-0 6-0 win over Harriet Dart. "I mean, sitting at a press conference in Wimbledon five, seven years ago, there was not a lot of warmth coming from that side or that perspective. That's tough. "I mean, I think there is definitely a few exceptions in the game, and I'm sure that he (Murray) has been one of them. But from an effort point of view and what, you know, he's able to do for the sport and for British tennis in a sense is iconic." Djokovic defended the ATP player council's decision to reappoint Stakhovsky to the board when asked about the annual meeting on Sunday. "You can always focus on the negatives," Djokovic said in response to questions about Stakhovsky's appointment. "Sure, there's always a person or two or three that in the past has stated something that is maybe not appropriate. "Sergiy has been very involved in the politics in tennis, trying to represent a lot of players, and he contributed a lot to the Challenger-level improvements. Certainly you pointed out the negative. I can't say much about that. But he's one of the 10 players in the council. There's a lot of positives to point out, as well." Djokovic said on Sunday Kermode's future will be decided following a further player vote in coming weeks.